During my time off this summer, I’ve tried cooking and baking more often. I enjoy cooking and don’t necessarily have the energy during the school year to do so, and it also is a great stress relief. The past 6 months have been a time filled with challenges and personal growth as I’ve rediscovered who I am, started standing up for myself and my beliefs, and realized what makes me happy. Just like a recipe, I’ve reflected on and put together all the ingredients that make up me and have focused on my newfound strengths: determination, perseverance, resilience, and passion. During my journey, certain people I came across in my life acted as metaphorical rocks trying to push me down. I continuously looked for ways to push back, show my strength, and tried to focus on everything that was going right. I leaned on friends and family for support and relied on their words of encouragement to keep me going. I looked for things that made me happy and smile everyday, whether it be a funny story from one of my students, exercising, watching tv, or taking a walk in the fresh air outside. Focusing on the positives and what made me happy helped give me the energy and courage to keep going. Slowly, I climbed higher up my mountain, got rid of the rocks, and began smiling and enjoying the world around me. Part of the struggle was looking for a new job where I felt I could share, contribute, and become an active part of the school community. Every interview, I would get my hopes up and excited about the possibility, only to have my hopes crushed with rejection. 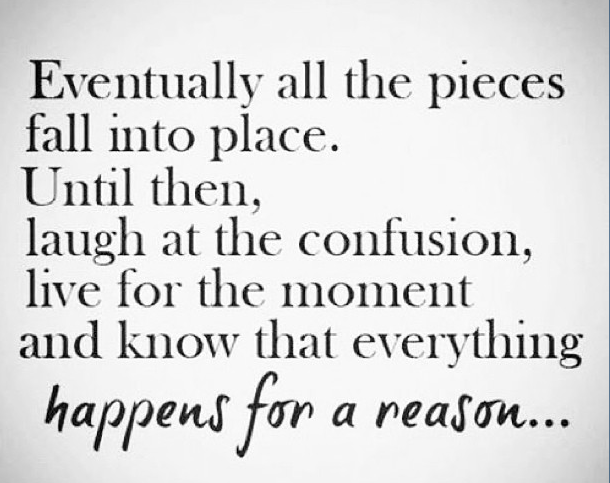 I knew somehow the puzzle pieces would fall into place, but it was frustrating waiting for that to happen. Reading articles on Twitter and conversing with other educators helped me realize I do have good ideas to share and there are people who have similar beliefs in education as me in terms of teaching philosophies and creating respectful and passionate school communities; this gave me hope that somewhere was a place I felt I belonged. Over time, it became harder to push myself to keep going. I talked with others for advice and improved my communication skills, but still didn’t have anything to show for my hard work. Somehow, the resilience stayed strong and I continued moving forward. I stayed busy by doing other activities, hanging out with friends, attending a fellowship, and traveling. I tried my hardest to stay in the moment and enjoy life’s journey. Through these activities, I continued learning about myself. The fellowship helped me realize I have a lot to offer to others, and I want to share my passion to educate others to be compassionate and tolerant and tell their own stories. I joined the Executive Board of Windy City Pi Phi to become a more involved member. I ran and completed my first 10K. I renewed and strengthened friendships, both new and old. Focusing on these aspects helped me realize I have a lot of positives going for me and my self-confidence soared. Now, I can finally say the pieces have fallen into place. I officially have a job for this school year and cannot wait to be a classroom assistant for first grade. I am looking for ward to new challenges, collaborating with new staff, and continuing to grow as a person and educator. Thank you to everyone-my family, friends, and others I’ve connected with who continually supported and encouraged me, provided feedback and suggestions, and introduced me to other connections. I am so lucky to have a strong support group who truly cares about me. As the school year begins and I’ve realized my strengths and the ingredients that make up me, I’m reminded that every student comes to school with his/her own unique story. I cannot wait to meet and learn about all the new first graders and be able to share in their learning celebrations and growths this year. At the beginning of the summer, I learned about a new race coming to Chicago sponsored by Zooma, an organization promoting and celebrating women running. I was intrigued because not only would I run along the beautiful lake in Chicago, but there was a weekend of events attached and awesome swag for registering-a racing expo, speakers the night before the race, a Mocktail party, and a post-race celebration with yoga, massages, food, and wine! I signed up to run my first 10K race and began thinking how I was going to accomplish this goal. I had never run more than a 5K, but with determination and some training, I knew I would be able to do it. However, my training was quickly slowed as I injured my knee. I would be in severe pain after running only a couple miles, then walking and stairs were painful for the next couple days. This left me running about once a week and then taking a break from exercising for a couple days after that. I consulted trainers and therapists for stretching my IT band (which was causing the knee pain), ran with bands around my knee to try to prevent pain, and continued an overall strengthening plan of weights, yoga, and Pilates. 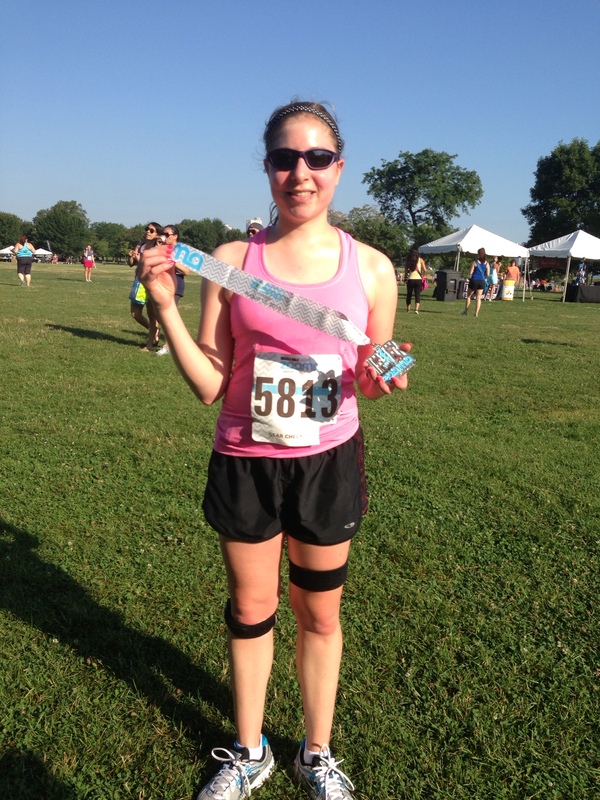 After running a 5K race mid-July, I took a two week break from running. Icing and Aleve became daily friends. I continued taking long walks, including around the San Diego Zoo on vacation, but was not able to train; this was 2-3 weeks before my race! As the race week approached, I was torn what to do-I still wanted to run but knew I was not prepared to run 6.2 miles and was worried about further injuring my knee. However, I had set the goal to run and was still intrigued by the celebration weekend. I decided I was going to run; I would do a combination of running and walking, but I would cross the finish line. Friday night, I headed into the city to begin getting into race-mode. I picked up my race number, walked around the expo, heard some speakers, met a friend for dinner, and went to Mocktails before spending the night in a luxurious room. Saturday morning I woke up to get ready and headed to the start of the race. It was nice being around other women runners and feeling the positive energy and excitement. However, I was anxious as the start time approached; I had never run 6 miles and was nervous about my knee hurting. I knew I could run at least half the race (3 miles) and hoped adrenaline would get me through the rest; I knew once I stopped to walk, it would be much harder to get back into running. Finally the race began. I started my music playlist, filled with songs to keep my energy up. I waved to my family there to support me. Throughout the race, I repeated in my head, “Slow and steady”. You can do this. Keep going”. While my knee hurt, I kept running. Seeing my family at the halfway point gave me a burst of energy. I ran 4 miles, 2/3 of the race, before stopping to give my knee a break. I walked a bit, ran another mile, then walked again because I wanted to run across the finish line. Half a mile from the end, I began running and pushed through knowing the finish line was close. Finally, I could see it. I kept running and finally crossed the finish line. I did it. I ran and finished a 10K and accomplished my goal. The past year has been filled with personal challenges for me. Setting and achieving my goal of running a 10K was something I did for me as I’ve worked hard to rediscover my self-confidence and what makes me happy. 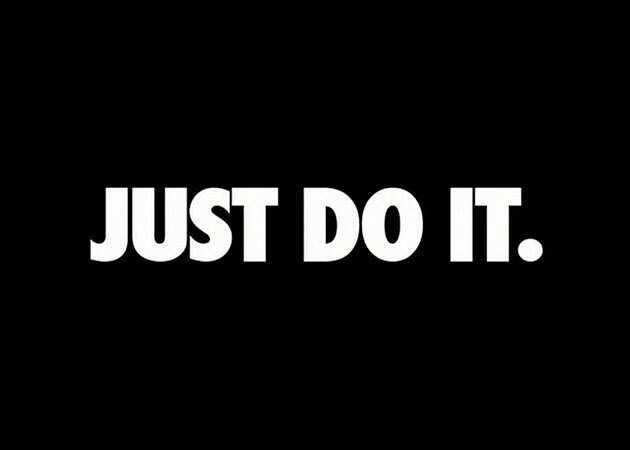 As the school year is about to begin, I want to carry the “I can do this” mantra into the classroom. I want to continue having high expectations for my students and helping them set and achieve their own goals. I want to support them along their learning journeys, let them know it’s okay to make mistakes and have setbacks, but to push through to find success. I want to see them successfully cross the finish line of success and say “I did it”. The school year brings new challenges and potential setbacks, but with hard work, we can all accomplish our goals. What goal will you set for this year?